This year instead of making New Years resolutions we made monthly goals. It's a lot easier to do something for a month instead of a year and we hope that at the end of each month that we will have developed some better habits. For the month of January we started the month off with a 14 day cleanse and no alcohol or coffee for the remainder of the month as well. I don't normally drink coffee so this wasn't hard for me but James has developed a love for tea over the course of this month so we decided to ditch our coffee maker which clears up some space on the counter and that makes me happy!! Along with our monthly goals that we are doing together we both have personal goals for the year. One that I am particularly excited to accomplish is to do a race every month this year. 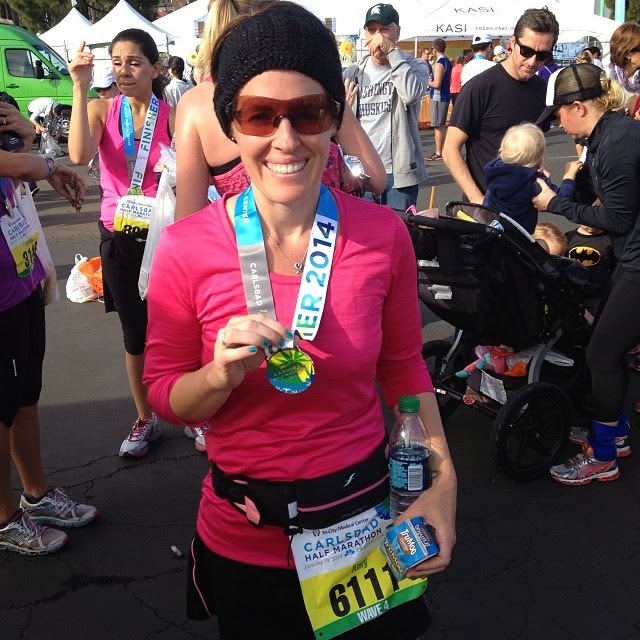 For the month of January I ran the Carlsbad half marathon last weekend and PR'd which I'm stoked about! I am also doing a 52 week photo challenge with a group of people where we photograph a different theme every week of the year, I'm hoping to learn a lot more about my camera through this project. I'll share each weeks photo and theme here.